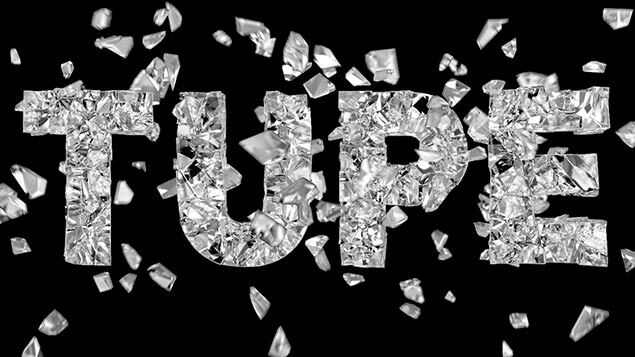 As the number of questions posed by listeners to XpertHR’s recent TUPE webinar shows, TUPE can confuse the most seasoned HR professional. Jeya Thiruchelvam provides a myth-shattering guide to some the most commonly-asked questions to ensure you do not get wrong-footed by TUPE. Drawing on his experience as a senior employment lawyer and employment judge, Laurie Anstis makes TUPE accessible. In response to a webinar poll that asked listeners which aspect of TUPE they found most difficult, the majority of listeners said it was whether or not TUPE applies in a particular situation. Myth 1: As long as enough time has passed since the TUPE transfer took place, it is okay to harmonise the terms and conditions of incoming employees with those of existing employees. Fact: The position under the TUPE Regulations 2006 is clear: a purported variation of an employment contract is not valid if the main reason for the variation is the transfer. This is true regardless of how much time has elapsed since the transfer took place. However, there are circumstances in which contractual variations are lawful. Myth 2: The old employer must hand over the personnel files of any transferring employees to the new employer to make sure that the new employer is able to replicate the employees’ terms and conditions and is aware of its liabilities. Fact: There is no obligation on the transferor to hand over a transferring employee’s entire personnel file. However, under the TUPE Regulations 2006, the transferor is required to provide “employee liability information” in relation to transferring employees. This includes, among other things, the employee’s name and age and information on any disciplinary procedure taken in relation to the employee or grievance procedure taken by the employee within the previous two years. What is “employee liability information” under the TUPE Regulations 2006? In a TUPE situation, is the transferor required to obtain its employees’ consent before passing on information about them to the transferee? What happens to the balance of an employee’s accrued annual leave when he or she transfers in a TUPE situation? Myth 3: The dismissal of an employee because of a TUPE transfer is always automatically unfair with no exceptions. Fact: Under the TUPE Regulations 2006, if an employee of the transferor or the transferee is dismissed, that employee will be treated as having been automatically unfairly dismissed if the main reason for the dismissal is the transfer. However, there are certain circumstances in which this rule does not apply. Where employees are dismissed as a result of a TUPE transfer will the dismissal be unfair? Myth 4: An employee who is claiming automatic unfair dismissal because of a TUPE transfer does not require the normal two years’ service that is normally needed to pursue an ordinary unfair dismissal claim. Fact: Although a dismissal in the above circumstances would be automatically unfair if proven, an employee still needs two years’ service to pursue such a claim in the employment tribunal. Where an individual is TUPE transferred, does his or her continuous service start from the date of the transfer or from the start of employment with the transferor?